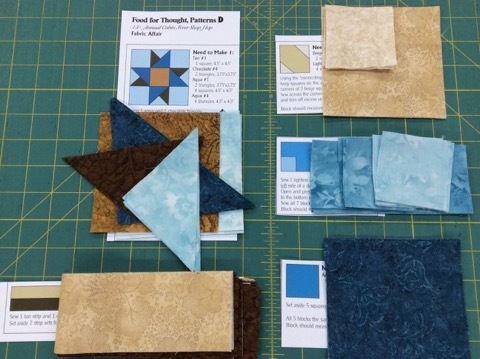 Here some some suggestions for the cutting of the 2015 Cabin Fever Shop Hop Anniversary Progressive Quilt. 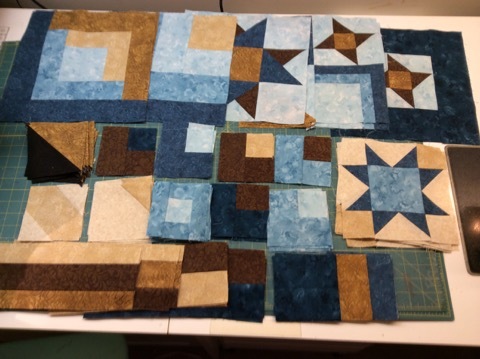 The breakdown of each part of the quilt is simple and makes the quilt much easier to make than it looks. 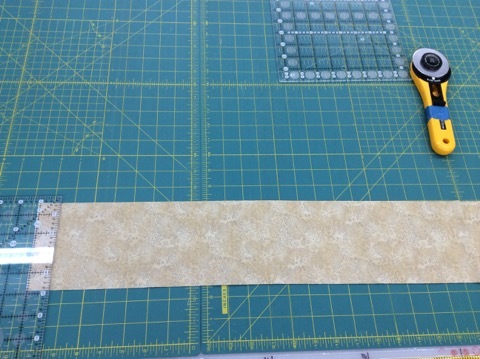 Keep cutting guides with matching fabrics. 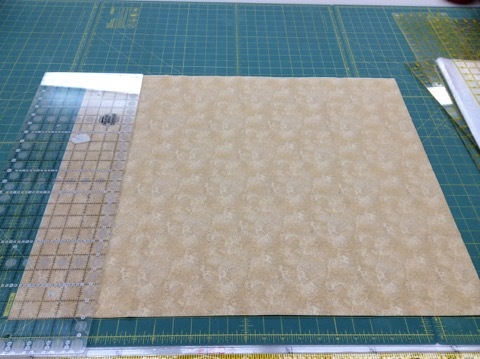 Set aside pattern sheets A through E.
Follow the cutting guide that is printed with sizes of each piece of each color. Keep the fabrics folded while cutting the designated strip sizes. Open the strips to full length and begin to subcut the individual sizes. 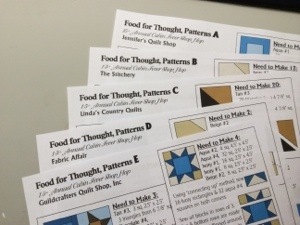 Follow the codes on the pattern sheets and organize into 5 piles, A through E.
After all 10 colors are cut and organized by pattern sheets A through E, begin to sort by pattern. It is fairly obvious at this point which of the cut pieces belong to which block. There are 3 log cabin blocks, but they are on 3 different pattern sheets which separates similar shapes from getting mixed up. 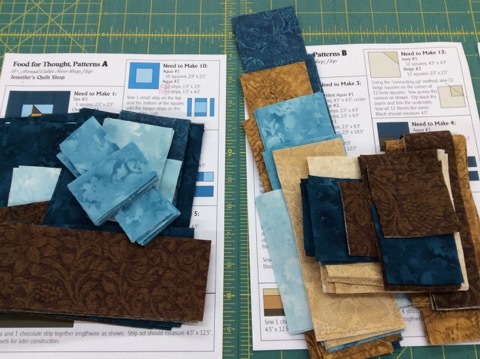 All the pattern sheets equally share 1 large 12″ block, 1 sash style and 3 smaller 4″ block styles Each pile can be further organized for sewing. Sort through each pile to pair up the cut pieces to the block it matches. The different colors and shapes makes this easy. Double check the count of the pieces and what the pattern calls for to make each block. If anything is missing, re-cut from the leftovers. 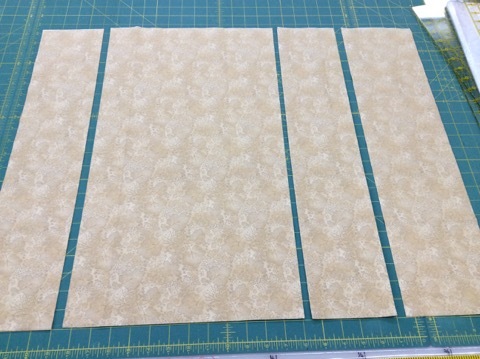 Cut each section of the pattern apart. 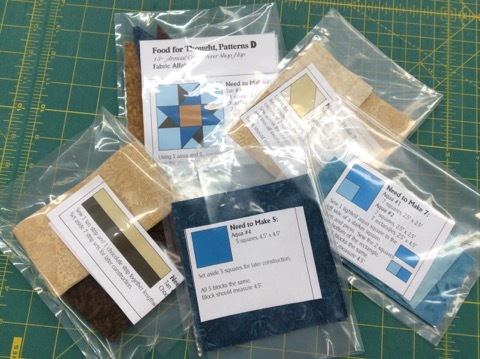 Pair up the fabrics to the individual patterns and bag them separately. This will keep everything together and organized for future sewing. Take out a bag when you have a few moments and it will have everything you need to make just a few blocks at a time. Most bags will only have a few blocks to make, there really isn’t a block or section that takes much time at all. When all the blocks are made, lay them out by size or style. 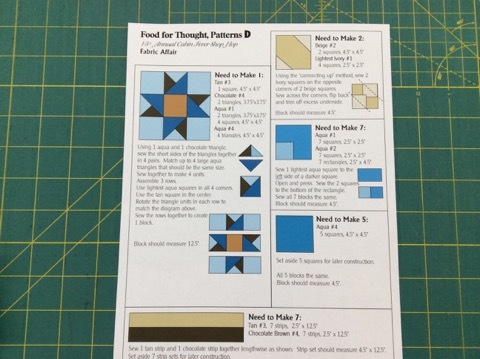 Follow the color picture and grid breakdown to start sewing. The grid system the quilt was designed to follow makes the construction of the quilt easy. The smaller pieces can be sewn in sections or by rows. 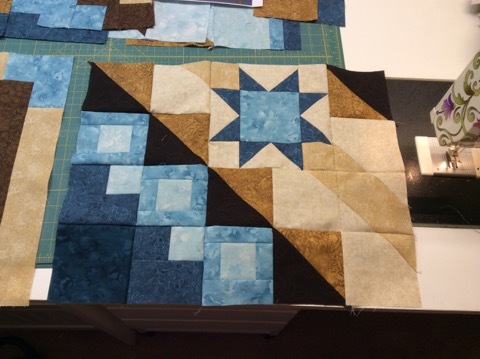 Even though the different diagonal sashes look like they run crazy over the quilt, the piecing is perfectly divided by 12″ grids and fast to put together. QUILT.LADY2@CHARTER.NET I WOULD LOVE TO PURCHASE THE PATTERN & INSTRUCTIONS. Is this pattern still available to buy or print? 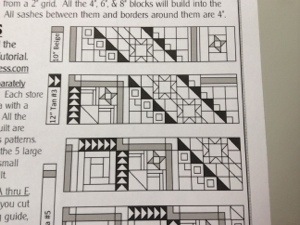 How do we get the pattern for the quilt. I love it and the colors are so beautiful. Can you tell me how to purchase this pattern? Thanks in advance. There is not a pay option on the blog, please send a check for $18. to the shop address and I will mail back the patterns. 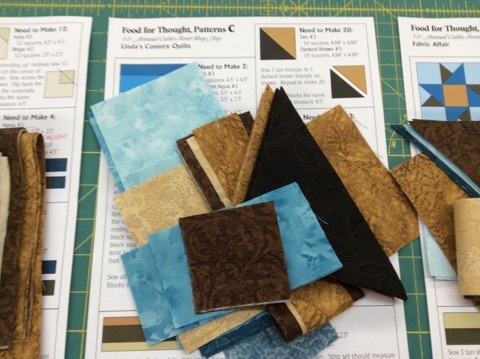 There is a color picture, cutting guides for every fabric and construction guides for every unit. I have this pattern packet ready to ship if you are still interested? 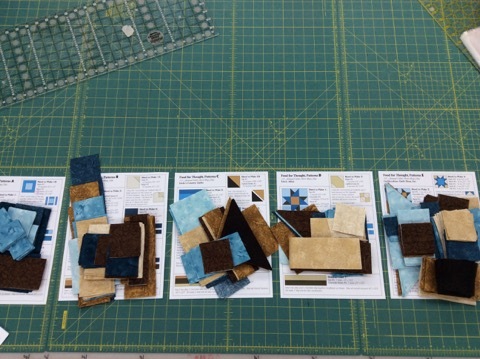 It has a full page color picture, 10 pages of cutting guides – 1 for each color, 5 color pages of block construction, a row construction breakdown and a tutorial for easy organizing. The packet is $18. I just found your email and do have this pattern if you are still interested? 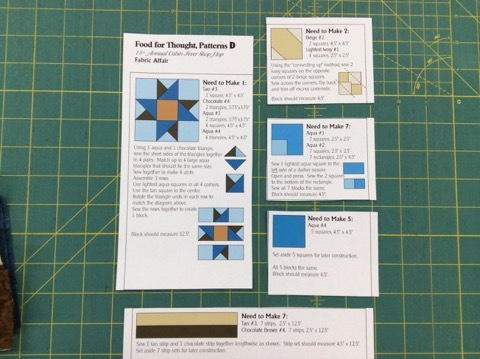 The pattern packet has a full page color picture, 10 cutting guides – 1 for each color, 5 color pages for block construction, a row breakdown and a tutorial for easy assembly. I just came across this email and wanted to let you know this pattern is available for purchase. It has a full page color picture, 10 cutting guides – 1 for each color, 5 color pages of block construction, a row breakdown and a tutorial for easy assembly. It is $18. Thank you for your interest. I just came across your email and thought you might still be interested in this pattern. It is recently available. It has a full page color picture, 10 cutting guides – 1 for each color, 5 color pages for block construction, a row breakdown and a tutorial for easy assembly. The packet is $18 if you would like it? Is this pattern still available? I’d love to order it. Yes, I have the pattern. It contains a full page color picture of the quilt. Cutting guides for every color. Construction color guides for every block. There also is a step by step process for easy construction on line.